The Kate Miner Orchestra has been gaining major attention in the music industry and amongst their fans with the launch of their 6th album by Kate Miner, The Kate Miner Orchestra No. Six. Kate’s singing career began when, at the tender age of four, she sang a solo in church. By age ten, she was doing vocal work on television commercials, and shortly after she turned twenty-one, her relocation to Los Angeles paid off with a record deal at Word Records and an impressive co-publishing / development deal with Sony Music Publishing. Originally from San Diego, California, she currently resides in Dallas and works as the Music Director at Munger Place Church. The Kate Miner Orchestra will be performing Saturday, September 13th at Poor David’s Pub in Dallas. Check out Kate’s style of Christian/Gospel music on iTunes and Amazon. 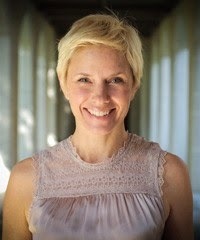 Learn more about Kate's story at http://www.mungerplace.org/worship/munger-place-music/.